Brittany draws its strength and authenticity from cultural diversities! 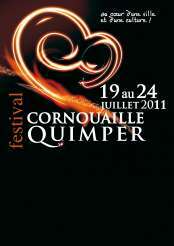 By representing the traditional and modern culture of Brittany, the Festival remains nine days of encounters between artists and audiences in the centre of Quimper. 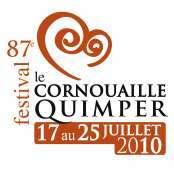 9 days all over the historical center of Quimper : * The Festival is nationally and internationally known * It hosts more than 3.500 artists * It produces around 180 performances and activities : concerts of traditional and world music, activities for young audiences, Fest Noz, lessons, workshops, discovering concerts, parades of Bagadoùs, contests of ringers, dancing performances, summer schools, exhibitions as well as the election of the Queen of Cornwal ! * 250 000 people attended the festival in 2008 * 650 volunteers * 50.000 tickets were sold in 2008 for all the performances * A budget of 1.300.000 €. 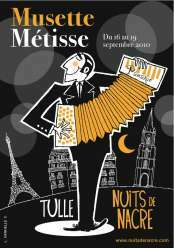 For 21 years, during four days in the middle of September, the streets of Tulle have thrilled with the sounds of accordions. 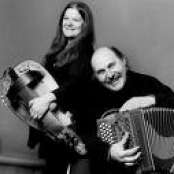 Festive and popular, accordions are instruments of creation as they can mix various genres of music. Amongst all, this Festival is a place to human and musical encounters, with an eclectic repertoire (Jazz, Rock, Musette…), some activities and evening parties all around the city : marquees, auditoriums, bars, brasseries, public spaces, schools are inhabited. 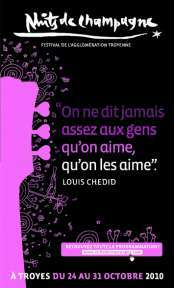 ‘Song that Sings’ is the heart of the Nuits de Champagne project, which beats to the rhythm of 4000 festival participants, actors of their own festival to share the passion of song. To Write, to Sing, to Move…Such is the motto of a singer-songwriter. 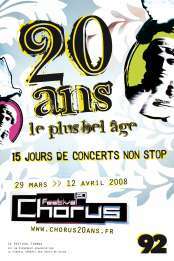 Every year since 2001, the Chorus Festival has hosted for two weeks more than a hundred of artists all around the counties of Hauts-de-Seine. The village of the Festival, especially settled in the “Arche de La Défense” represents the heart of the event. Non-stop music for 15 days ! For 20 years, the Chorus Festival has been at the first line as a way to discover talented artists as well as to support creations, to develop encounters of artists and to help them during their career. ! Today, artists themselves pay a tribute to all these years of sound musical activities and new performances. « Portrait d’un Cinéaste sous l’Arbre » was a nomadic Festival of Cinema for young audiences. It was organized from the 4th to the 11th November 2002 in Poitou-Charente. A famous guest attended the event : indeed, Takahata Isao, the brilliant and mythical director of « The Grave of Fireflies» was there. For the enjoyment of young audiences and adults, 30 films were showed in various towns and villages. Since 1953, in Bellac (a city which is described by Jean Giraudoux as « the most beautiful city of the world»), has took place one of the oldest Festivals of France. 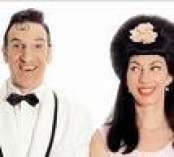 Initially devoted to theatre, it nowadays welcomes comedians as well as directors, dancers, musicians and filmmakers in order to develop artistic encounters. Every year in Belford, during the week end of Pentecost, the FIMU presents 4 days of music festival. Around 2 500 musicians are produced there. Belford hosts orchestras, professional musicians as well as amateur bands. A festive atmosphere where students from all around the world can express their talent through music. Every years, since 1987, Parthenay has hosted musicians and fans of today traditional music. Open-air concerts, proms “au clair de lune”, musical meetings, discussions, lessons : the Festival represents a surprising programming that has built a reputation for more than twenty years. Parthenay has become the place for innovation, where to share feelings. 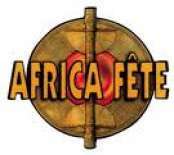 Africa Fête was an ode to the African musical creation. In Paris, Marseille, Dakar and Cotonou, this event was a way to meet and discover the diversity of African culture. The audience could dance on frenzied rhythms, see exhibition on Africa, attend performances of traditional dances as well as taste local meals. For few days, Africa was closed to every one : for the biggest enjoyment of audiences !